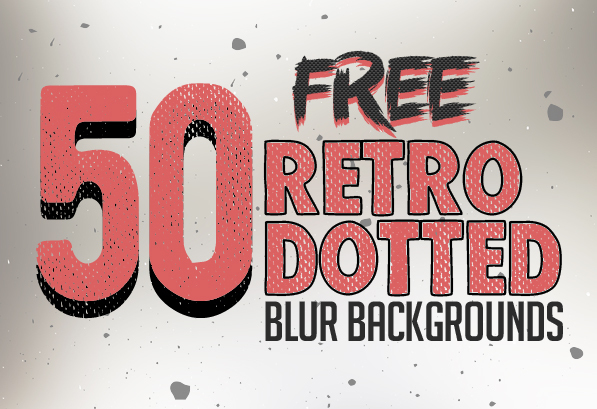 Free retro soft blurred backgrounds with and without dotted pattern. Retro / Vintage styles are very appealing design trends of 2015. So I decoded to create some fresh blurred backgrounds with retro style. All are free to download and use as you like. There are 50 high quality blurred backgrounds with retro touch and dotted pattern out there which are great to use as website background, mobile apps. photography and also sweet to use on your desktop as wallpaper. Best of all, they are all free to use. What are you waiting for? Use them in your web or graphic design and give a whole new feeling to your visitors. Throughout history, great designers always found new ways to show their creativity to express themselves and create new trends and techniques to remark their work apart from the rest of the crowd. Blurred backgrounds in one the latest trend in web and graphic design industry. Here are some new high quality blurred backgrounds with retro touch and dotted pattern. Enjoy! The blur backgrounds are design by Yasir Jawaid exclusively for GDJ. The backgrounds are completely free for commercial and non-commercial usage. You cannot, however, claim them to be your own. You should include a link to our website when you share any where. Beautiful, really beautiful. Thanks for sharing.